If you want high quality rain gutter installation for your house in Holly Springs, GA, pick Affordable Gutters Plus, LLC. With total gutter and roofing services, you get the top quality rain gutter installation your house needs. Our mission is to guarantee that each rain gutter installation will last you as long as you own your house, offering you peace of mind and easing worries about roof damage. Our contractors are experienced experts who are licensed to give you the best craftsmanship and customer service in town. We are always accessible to answer your rain gutter installation questions or advise you get an evaluation. 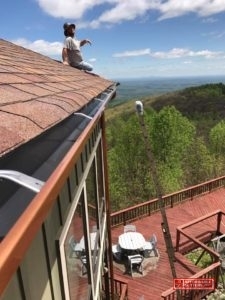 Call Affordable Gutters Plus, LLC at 770-735-4433 today for expert service and rain gutter installation in Holly Springs, GA.
And So Many More! Storms, hail and winds are prevented from damaging your house by your roof system. You can defend your roof with skilled installation on your gutter system. 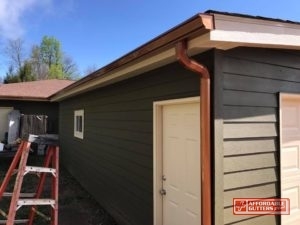 Contact us at 770-735-4433 today to get started on your rain gutter installation in Holly Springs, GA.
You want your house to last you a lifetime. 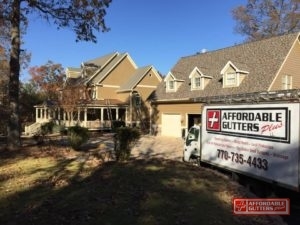 With Affordable Gutters Plus, LLC, you get contractors that comprehend your requirements and strive to offer you gutters that will last as long as you occupy your home. Licensed contractors make sure you get the systems your house requires with expert installation techniques. Your roof or rain gutter installation service comes with the best customer service and craftsmanship around. Give Affordable Gutters Plus, LLC a call today to talk with an expert about getting started on your rain gutter installation: 770-735-4433.